Each Wednesday we’ll answer the on-going question: “What do I wear with these?” It’s a question we get quite often here at the shop and we love giving suggestions when helping our customers. This week we feature the Kudeta 311604. 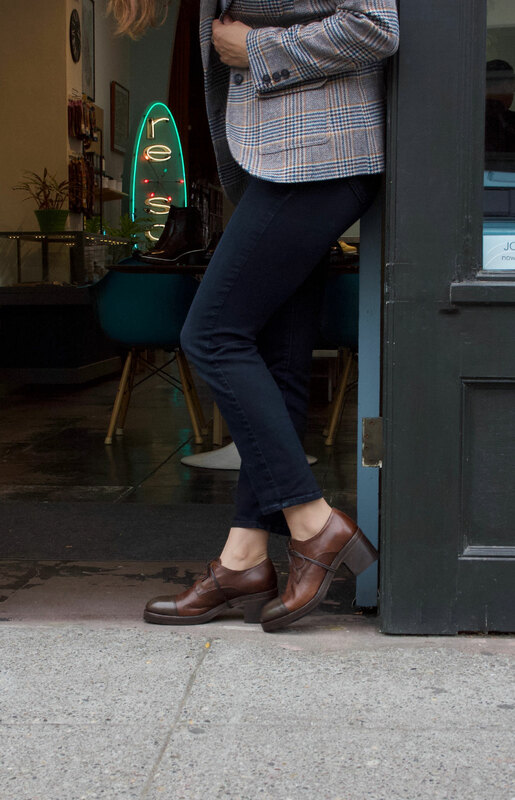 There is something just timeless and elegant about a penny loafer. This everyday flat from Kudeta fits the bill in so many ways. Wear it with your cropped jeans or shorts, a sleeveless shirt and round sunglasses on a day that requires a casual attire. You could also wear them with a mini skirt and a draped blouse for a chic carefree look. Don’t forget the scarf and a smart tote to complete the ensemble. > Kudeta loafer flat in turquoise leather, made in Italy. > Jo Handbags Hobo in cafe, micro perforated leather with cross-body strap.